Stuffed peppers is a simple dish that’s so filling and perfect for lunch or dinner. It’s my favorite dish to serve during spring or summer because everyone loves it. You can serve it for a cookout or for potlucks. You can even customize your stuffed peppers recipe into whatever filling that you want such as ground pork, beef, seafood or even vegetarian. But what to serve with stuffed peppers recipe? 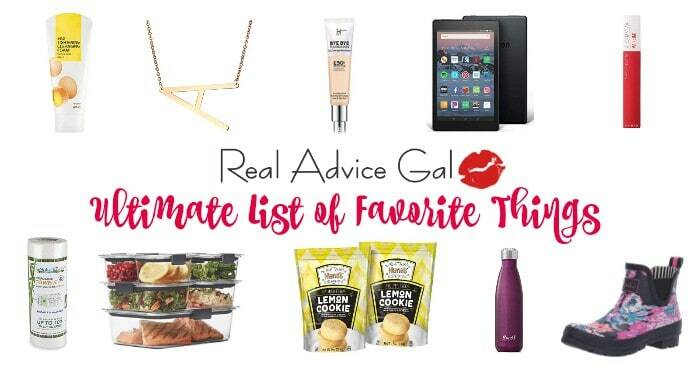 Well, I have some great suggestions of what goes good as a side dish with stuffed peppers that’s perfect this season. You can see my list below but before that here are my favorite, no-fail delicious and easy stuffed bell peppers recipes. Healthy Stuffed Peppers. If you want a quick dinner recipe then you have to try this. Even my kids love this healthy and tasty stuffed peppers recipe and they ask for this all the time. Pressure Cooker Stuffed Peppers Recipe. 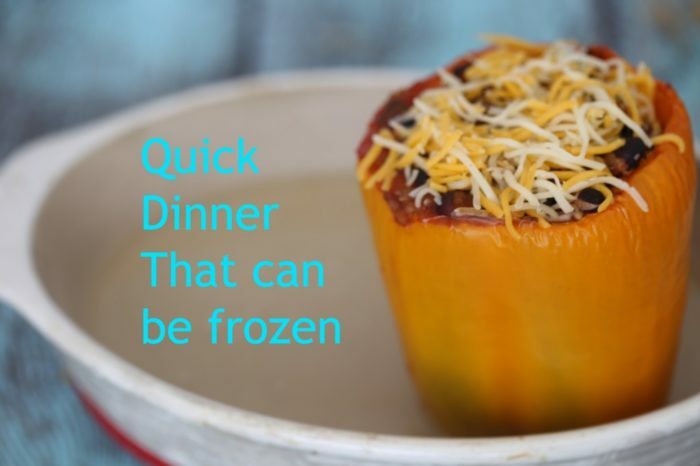 Yes, you can cook stuffed peppers in your pressure cooker and trust me it makes it super easy! Do you love to grill? 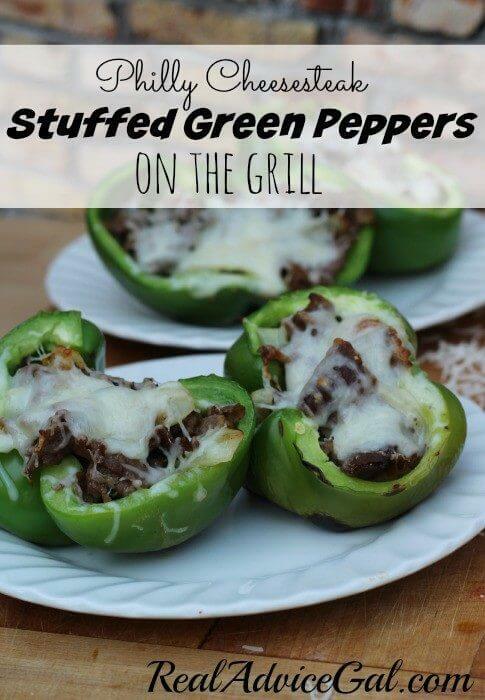 This Philly Cheesesteak Stuffed Green Peppers Recipe is divine! What goes good as a side dish with stuffed peppers? A lot of my friends ask me this question. It seems that a lot of people find it hard to decide what to pair with stuffed peppers. Since stuffed peppers are already packed with flavor, I personally prefer to pair it with some lightly flavored side dishes, something that tastes fresh. Here are the answers! 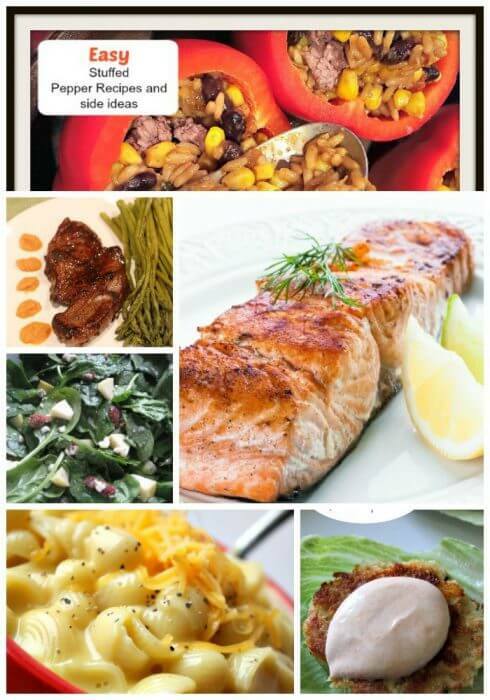 Try these easy side dish recipes. 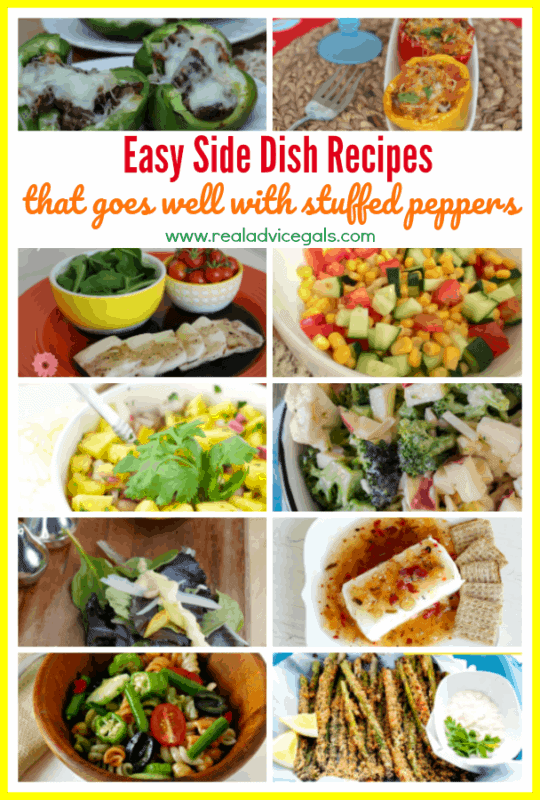 Do you have more ideas on what to serve with rice stuffed peppers recipes? Share it with us below.